Twenty Cent Mixture: Tiny Eyes doll giveaway! I have a few completed projects to share with you soon, but in the meantime - check out this amazing giveaway from Tiny Eyes. 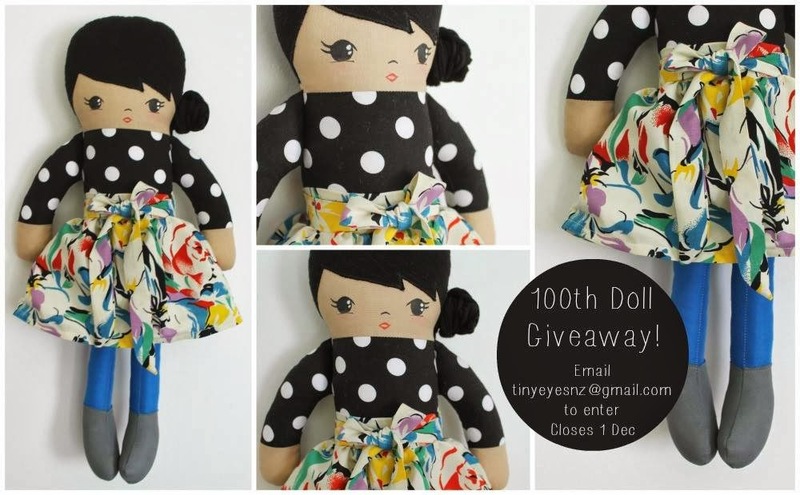 The super-talented Dee is giving away the 100th doll she has made this year, and she is gorgeous! Visit the Tiny Eyes facebook page here for more details.